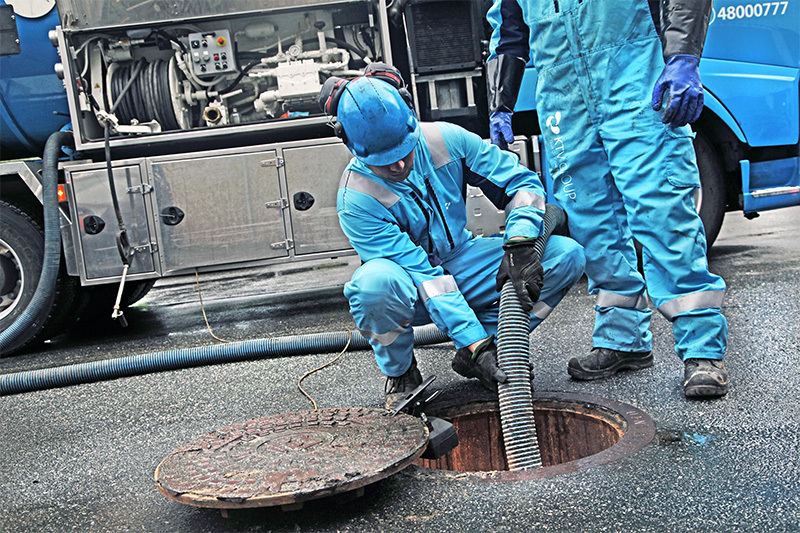 The KTV Group has the experience and technology needed to handle hazardous waste. We can ensure safe handling and quality assurance in terms of transporting, delivering and treating hazardous waste. Our ISO 14001 certification is proof of our reliability in handling hazardous waste. We use on-site recycling and process recirculation methods for large-volume tank cleaning projects. Our QA system generates traceable documentation from beginning to end. Our customers can access the document archives from their own weblink/webpage. The KTV Group has a fleet of ADR approved vehicles to transport and handle our customers’ waste in a logistical, safe and cost-effective manner. Many businesses offer the public information about environmental accounting and their carbon footprint, especially where recycling is concerned. A company’s reputation improves the more waste it delivers to recycling. As we all know, waste issues are all about reducing waste. The KTV Group currently uses technology to clean tanks that also re-uses and treats the water used for cleaning. We focus a lot of attention on ways to limit waste produced by our work processes. Our customers appreciate that due to the savings it brings. The KTV Group is a smart-supplier focusing attention on real environmental accounting, in which waste reduction is the main rule, not simply delivering more waste to recycling. Our unique QA system provides our customers with control and supervision functions not offered by any other company in the trade.